Ravenscourt Arts is a delightful little venue. Seating 160 with immaculate sound reproduction, great lights, an engaging atmosphere and well-thought-out design, it is a great place to host a concert. Consequently, it is the ideal place for the kind of tasty dish that was served up on Friday night. 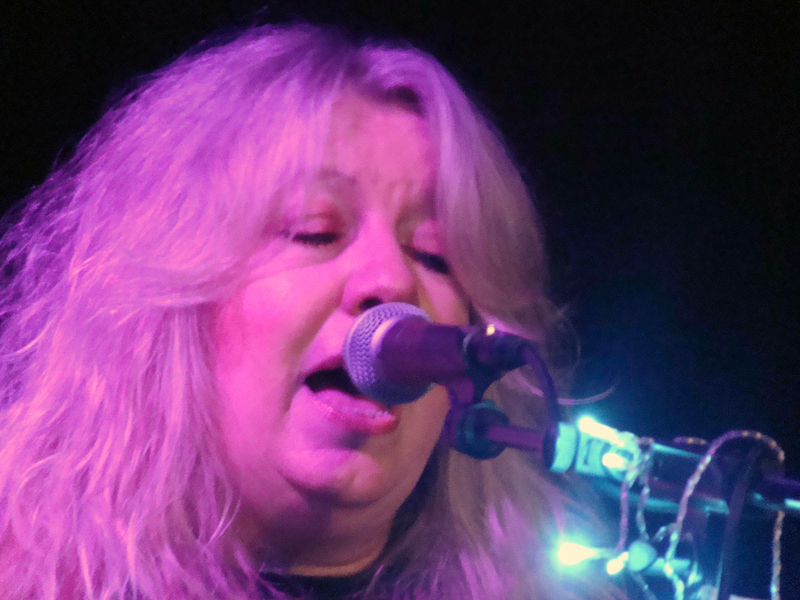 Tonight is the “secret” launch night for Judie Tzuke’s first ever full acoustic tour in a long and successful career. There’s some joke about the “pineapple gig” that the all-invited audience seem to be in on but we don’t need to dwell on that. What we have is an acoustic set which spans the bases from the debut album “Welcome to the Cruise” right up to the as-yet-unreleased “Woman Overboard”. 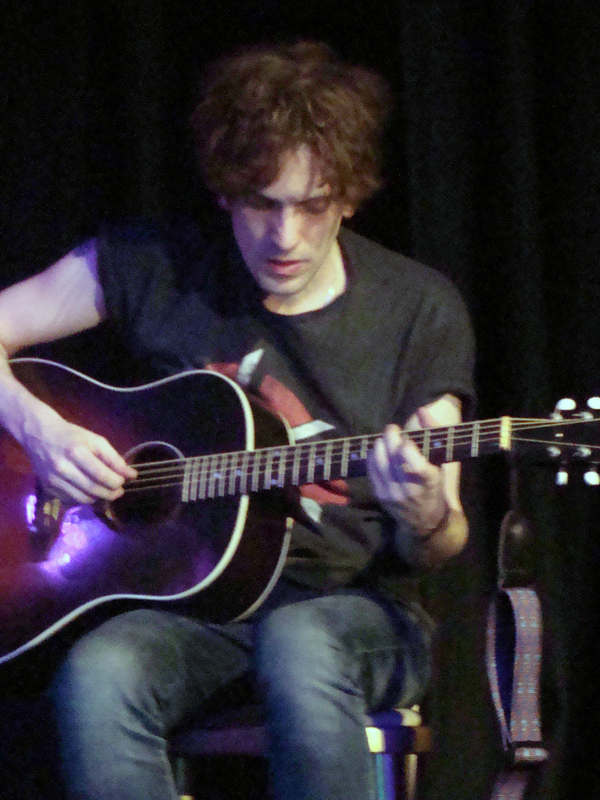 Acoustic shows can sometimes lack energy and seem a little one dimensional but there’s no sense of that here. Ms Tzuke, normally quite a shy and nervous perfomer, is taking the brave step to tell stories and answer questions from the audience between numbers and this works well giving the whole affair a homely atmosphere. Tonight’s band adds to that sensation. 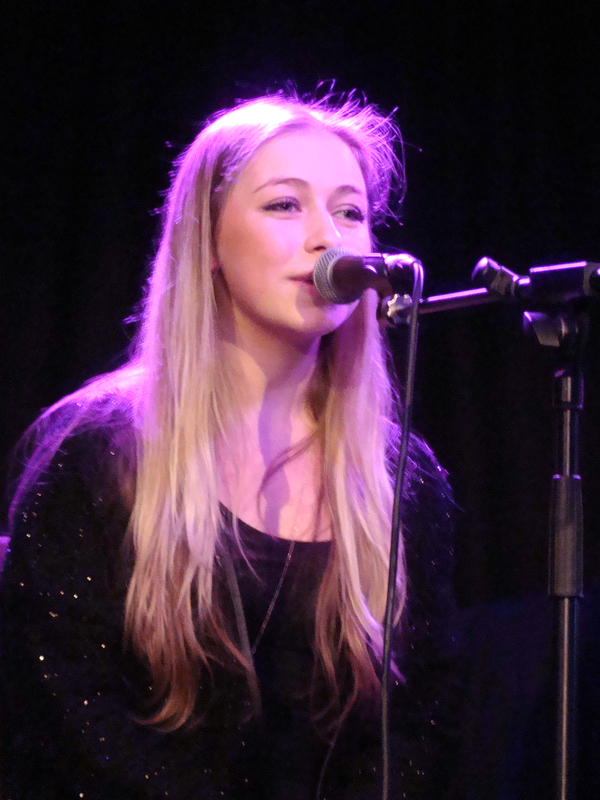 On backing vocals, we have the double of Judie’s daughters, Bailey Tzuke and Tallula Tzuke. Bailey, of course, is a chart act in her own right with her hit cover of “Uninivited” taking up residence in the British charts a few years ago. 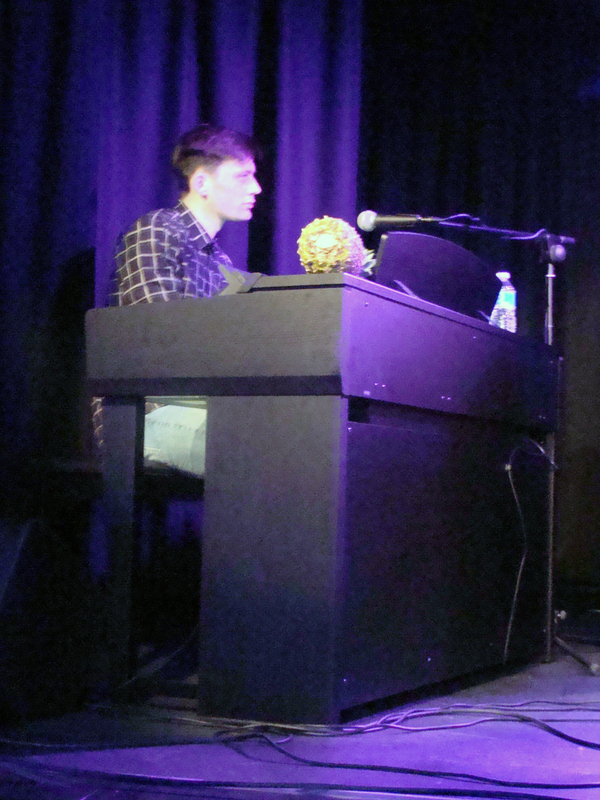 On piano and keyboard is Tim Deal whilst guitar duties are handed to Ben Mark, who is moonlighting from his current gig as musician and composer for Take That. The set, as we suggested, is a broad-ranging affair. It opens with the title track from that debut album and then winds its way on various stops on Judie’s career. Ben Mark’s contribution is particularly impressive, transforming distinctive hooks and melodies which are normally reserved for an electric instrument on to his acoustic 6-string with great panache on songs like “Sukarita”. Also Mr Deal produces a fetching Hammond-style sound on the song that Judie composed and recorded with Morcheeba, “Enjoy the Ride”. 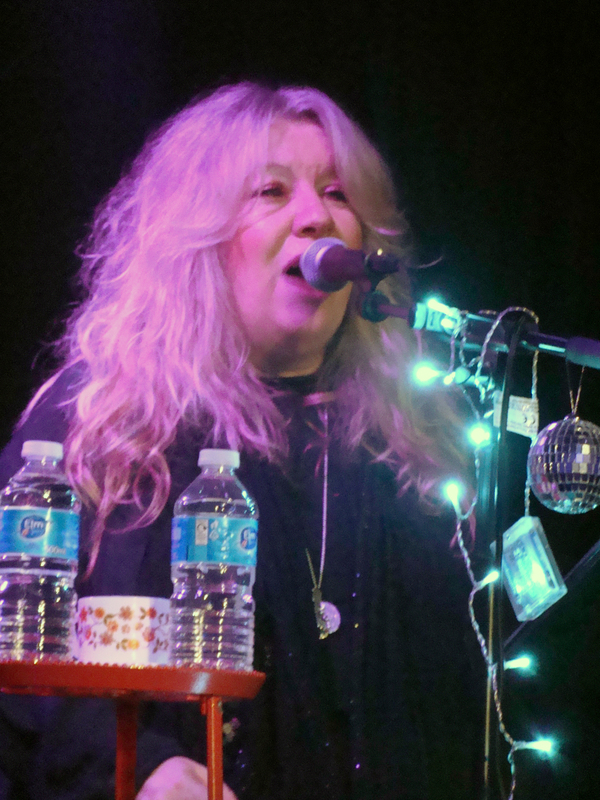 But it is the vocals that are the real tour-de-force, with not one Tzuke but three taking turns on lead. A heavily pregnant Bailey delivers up a rousing version of the hit Alanis Morrissette composition which she cut with the Freemasons. Her sister, Tallula, also goes the cover route with a version of “Heartbeats” which was originally recorded by The Knife and then made into an acoustic hit by Jose Gonzalez. Judie also has some covers up her sleeve with the Joni Mitchell song “Woodstock” and John Martyn’s “May You Never” (recorded by Ms. Tzuke on her “Beauty of Hindsight” album) being part of the set. The latter sees all three Tzukes alternate on lead to stunning effect. Most of the rest of the set is made up of sad ballads which suit the thoughtful tone of the show and Judie’s voice just right. “All at Sea”, the early “Ladies’ Night” and Bring the Rain” and the recent “So Emotional” are all here and all right on the money. One of the highlights of the nights is “Left Hand Talking” which has warm backing vocals from the girls. “Left Hand Talking” is preceded by “The Other Side” which Judie describes as one of her best songs and it lives up to that rep. The set is rounded out by the inevitable “Stay With Me Till Dawn” with the audience responding to the artist’s request to provide backing vocals. Once more the overall effect of the song is enhanced by the warm sound maintained by the venue. Support act, Chaz Thorogood, gave a good account of himself. Gritty vocal, gutsy guitar, and some strong compositions, he also threw in a cover of Dylan’s “All Along the Watchtower” for good measure. 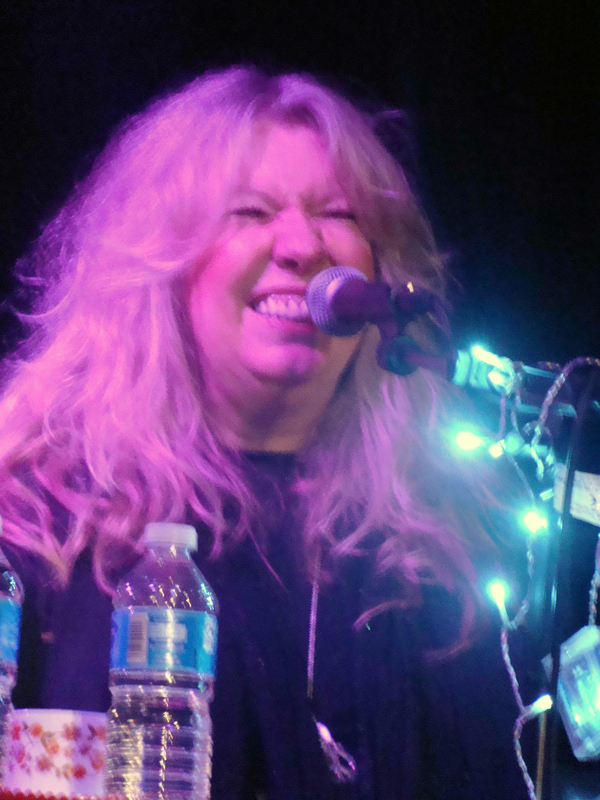 Judie Tzuke will return to the same venue in April and then will head out on a nationwide “Songs and Stories” tour where she promises to mix in songs from many parts of her career. If tonight’s show is evidence of what to expect you should attempt to catch her on more than one occasion during that lengthy sequence of shows. 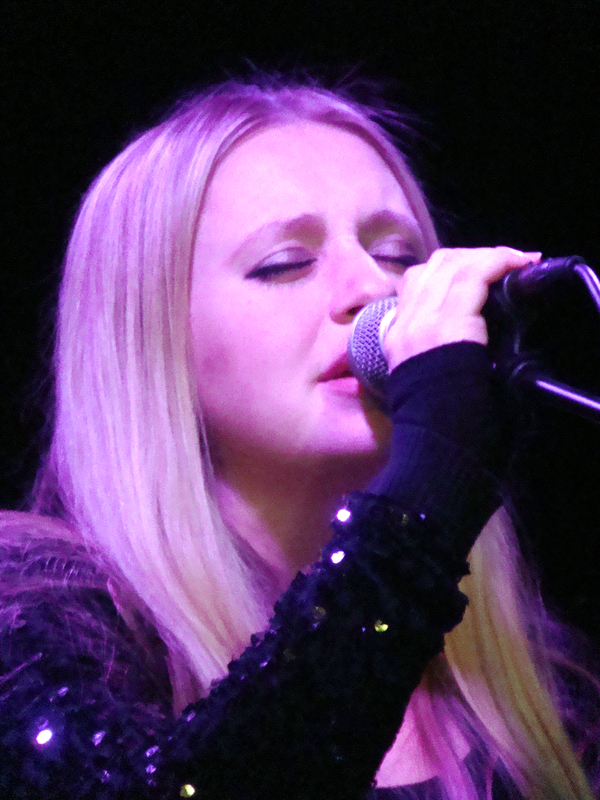 This entry was posted in live show, music, Review and tagged all at sea, bailey tzuke, ben mark, bring the rain, chaz thorogood, darren hirst, darrenhirst.com, enjoy the ride, hammersmith, journalism, judie tzuke, ladies night, left hand talking, live show, morcheeba, review, reviews, rock, so emotional, sukarita, tallula tzuke, the other side, tim deal, twilight dawning, twilightdawning, welcome to the cruise, woman overboard by twilightdawning. Bookmark the permalink.